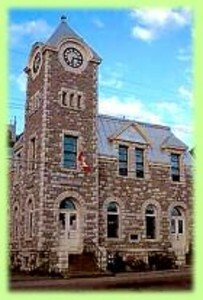 You can relax and stroll along the streets of the "Jewel of the Bonnechere", better known as The Village of Eganville. 2019 marks the Bonnechere Authors Festival (BAF) 18th season! We will be staying in our new location at the Eagle's Nest (178 Jane Street, above the Eganville Arena), which worked so well last year. Due to your postive feedback the festival will remain on Monday nights: July 8, 15, 22 and 28. We ambitiously sougth after authors and have confirmed four phenomental talents. We will tease out the release of each name on facebook in the coming weeks. Our new Authors Circle Memberships are a great way for your to pre-plan your festival experience and help support the festival by making a donation in advance. There are a variety of membership levels to choose from, good for an individual, a couple or friends. They include seasons passes, dinners with the author, and signed books. The BAF organizers are making some adjustments to help strengthen the Festival. For the first time, we will provide authors with honourariums to help with their travel costs. Authors in Canada make an average of $9,380 a year. To ask an Author to take time away from their family, job and to also pay their own way is more then we're willing to ask when we are raising money from their work. That means our costs are going to be a lttle higher, however, to offset this, and hopefully raise even more for the library, we are raising our prices slightly and offering new sponsorship packages for local businesses and membership packages for you, our biggest fans! The ticket price is being increased for the first time in the 17 years this festival has take place! Single tickets will be $20, at the door. We will have a measure to help those book lovers who cannot afford the increase. In past years BAF has been a partnership with the Training and Learning Centre. They have chosen to focus their fundraising efforts in a different direction, and we wish them the very best! This means all of the money raised will go to the Bonnechere Union Public Library. We are a small group of organizers, with a larger group of loyal volunteers and bakers. Thank you for considering supporting this Festival that has put the Eganville area on the cultural and literary map in Canada. We would not have such a successful Festival without you, our amazing audience. The Bonnechere Museum tells the story of settlement and development in all the townships and communities along the Bonnechere River. This new facility is in the former Eganville Village Centre. Every denomination is recognized with many churches in Eganville, Augsburg, Cormac and along the Opeongo Line. Hunters and Anglers come to Bonnechere Valley for a consistently good catch, our pristine environment and hospitality that is second to none. Avid Anglers will love our lakes and rivers. You can expect fantastic fishing for Pike, Bass, Perch, Walleye, Lake and Brook Trout. Live bait is readily available and there is no shortage of boat rentals, campgrounds, and secret fishing spots to guarantee some of the best fishing in the Ottawa Valley. Bonnechere Valley Township has Everything for Your Vacation on Our Lakes and Rivers! Our area is like a brilliant picture postcard and there's no shortage of things to do and places to stay along the way. We have camping, hiking, canoeing, boating, cottages, beaches, and resorts galore! Stay tuned for updated information in the Spring of 2017. In October 2012 the 1st ever municipally owned Recreational Geology Trail opened. It is a Geologically rich trail in the heart of the Bonnechere Valley, leading to a limestone quarry and a hand-dug trench! The Township of Bonnechere Valley in partnership with the Bonnechere Museum are happy to offer this local trail for recreational and educational use. Admire Eganville’s unique natural beauty as you walk through a hillside forest and past rock walls where geological treasures are abundant. The Eganville and District Seniors Needs Association provides assistance and social activities for senior citizens of the area. Opportunities to touch a life are not always easy to find. Volunteering provides a way to help improve the life of another person. Now is your opportunity to give back to your community. Get involved. Bring us your energy, your ideas, your pledge to help others, and we will find a way to start you volunteering. Please call 628-2354 to discuss your options. The Eganville Snodrifters Club grooms more than 100 kilometers of trails in the area, and offers some of the most beautiful scenery in Ontario. Our trails are part of the more than 49,000 kilometers of trail networks maintained by local clubs and The Ontario Federation of Snowmobile Clubs.